Buying furniture for your home is honestly really personal. Most of them remain permanently unless you move or the furniture is broken. 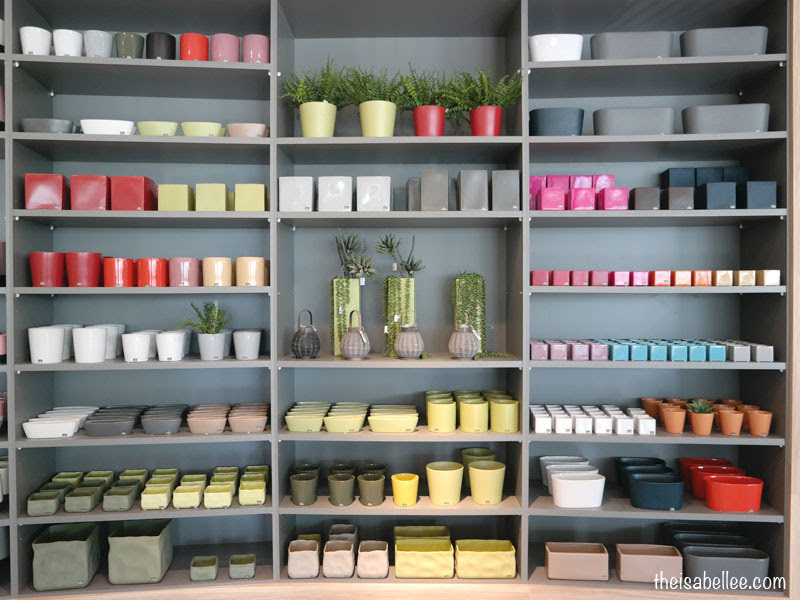 Before buying, I also like to plan the whole layout and colour scheme of the room. 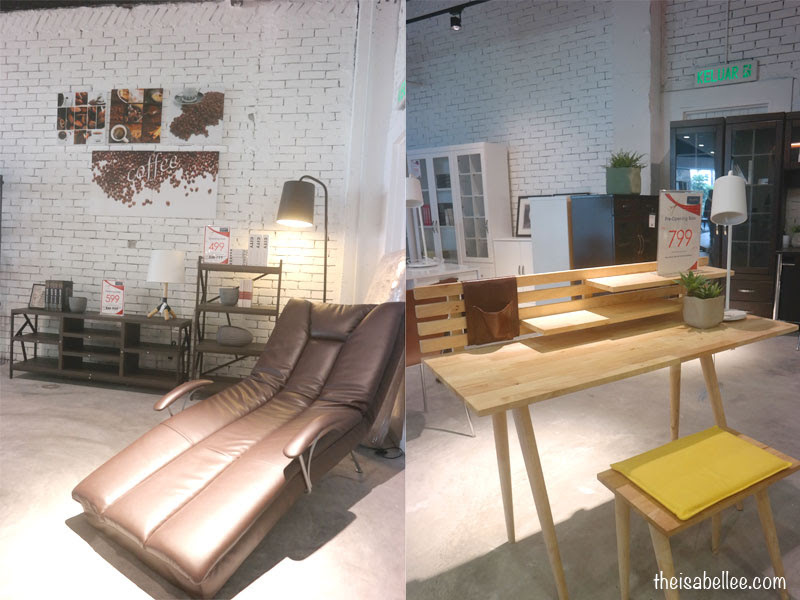 Dropped by the new MajuHome Concept, a new furniture shop outlet in PJ (specifically, in Citta Mall) to get some room inspirations and to check out their trendy products! 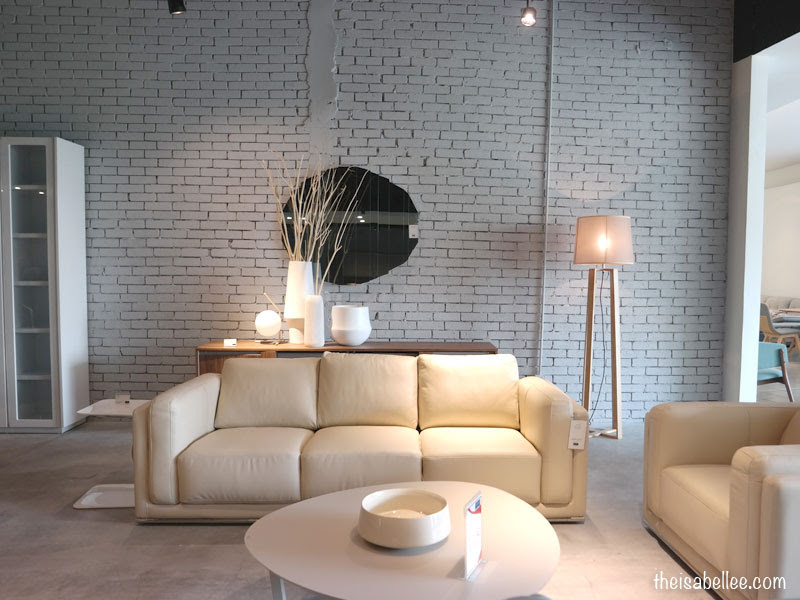 Another HUGE furniture shop is now in PJ! Perfect for lazy bums like me.. It spans an impressive 60,000 square feet spread over 2 floors. I like how the furniture selection isn't too old or boring. Many of them are very functional yet pleasing on the eyes. Le Bf & I would really like a white + wood + grassy green theme that would make it feel like a picnic being at home. You can find a large array of items including, sofa, dining furniture, decorations, branded bedding products and more. Even furniture for kids are available here. All of them are in really modern and trendy designs. Probably everyone's favourite wall at MajuHome Citta Mall! That wooden study table would look great on my Instagram xD That's my goal! To have a home that is very Instagrammable. 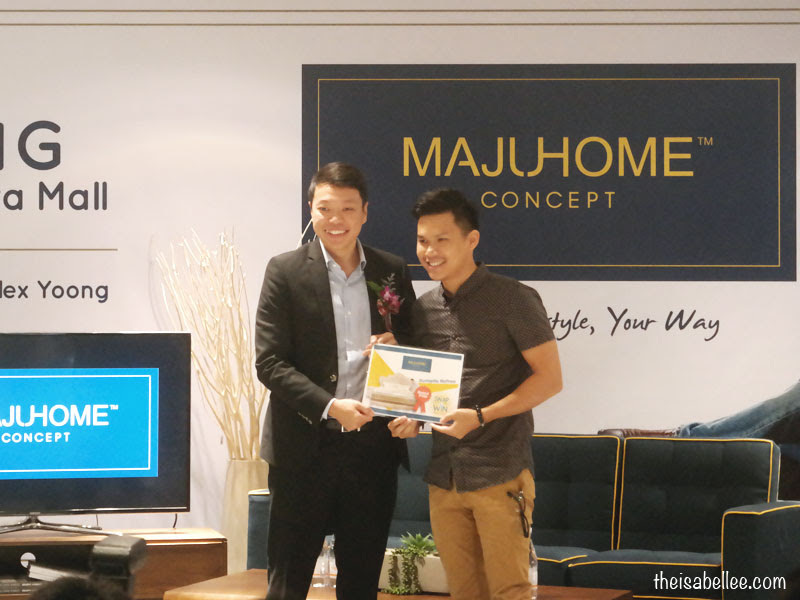 Also congrats to all the winners of MajuHome Snap & Win contest. Someone won my dream L-shaped sofa! And ta-da! 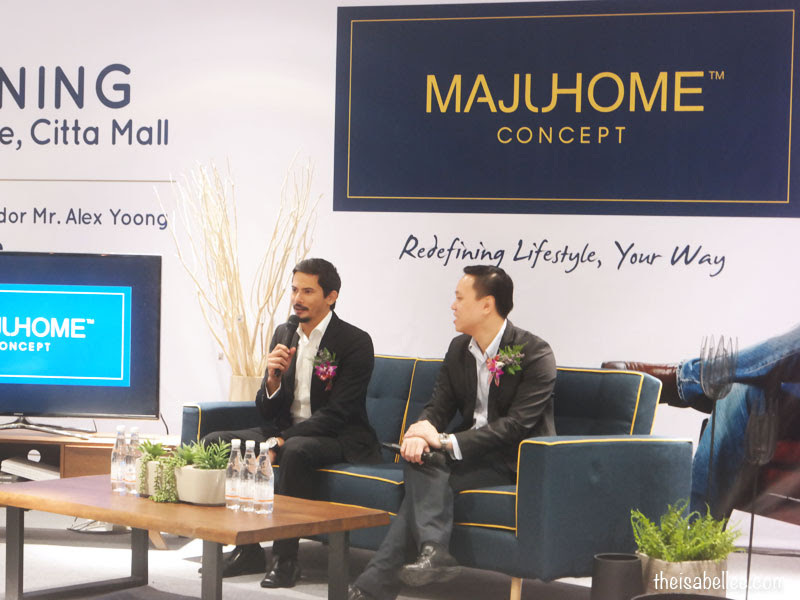 Former Formula One racer, Alex Yoong was also there as he was appointed as the new brand ambassador. The stools are so colourful! Would love to have some at my home. The place looks like a great location to browse for furniture for my future home! Totally agree with that colourful OOTD background :D Between, Maju Home really has got some simple and nice design. i like the wooden study table - looks so special and cute! love your outfit too, you look gorgeous in it. I will try my best not to enter a store like this because I will stay inside it forever and end up buy something. All the wooden furniture looks really nice! I like your idea of 'having a home that is very Instagrammable'! Hahaha I would love to have that too! nice decoration!!! The sofa so nice!!!! I wish I have one!! The sofa looks classic. Suitable for my living room. Will check this out. Congratulations to their grand launch! You look pretty in your ootd babe! They have really great concept for all the furniture! I don't like boring furniture too, colorful and classy furniture will be great! superb.. lovely furnitures with a vibrant setting. I like the wooden furniture because it looks more near to the nature .. 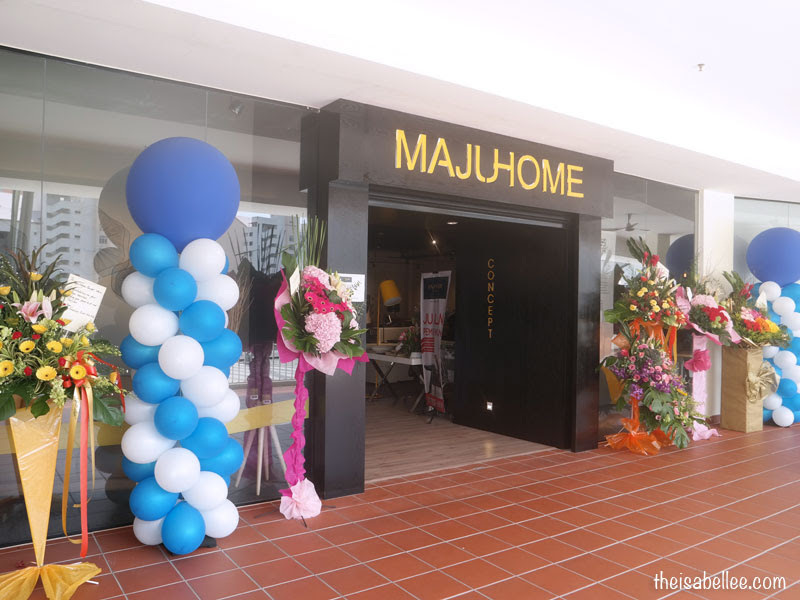 I would like to spend more time at MajuHome Concept. Not really to shop yet until I have my own crib but to build some ideas of what I would like to have in my home. 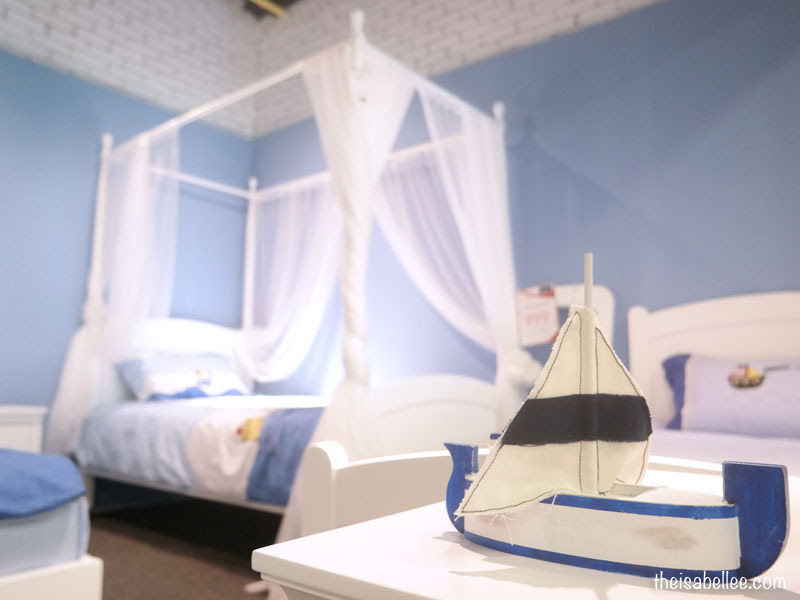 Yeah~~~ Another place to get interior idea.. hehe... Thanks for sharing. 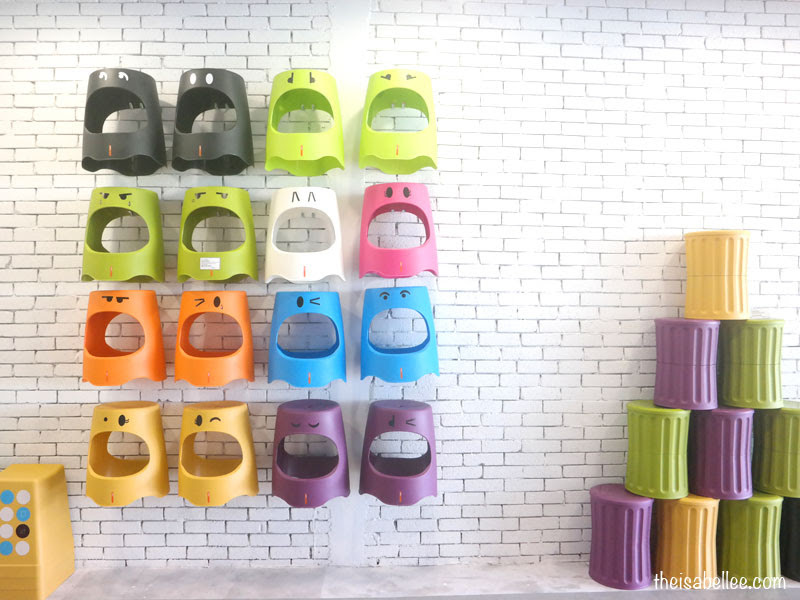 Reading about this concept store on so many blogs. Looks very stylish and classy.